This part is limited to stock on hand. This means once current inventory is sold out, it will not be back ordered nor will it be built again. In the rare case where a product is oversold, your order will be canceled and all payments will be refunded The RQ Series requires PART# 300-4145-1ALQFT to seal on a 4500 flange style intake manifold. 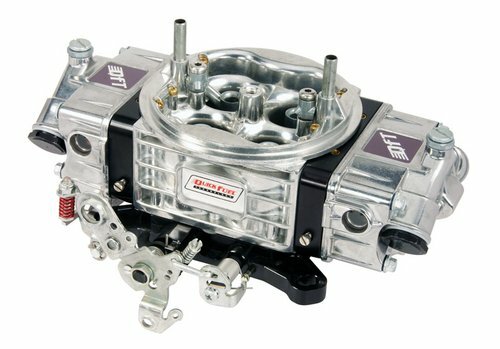 For competitive classes where every last hundredth of a second counts, Race Q-Series carburetors offer excellent performance, consistency, and tunability. Vacuum-drawn die-cast aluminum main bodies eliminate porosity and yield extremely precise tolerances. Scalloped, symmetrical throttle bore openings work in concert with recessed air bleed cavities to minimize flow restrictions, and specially contoured venturi provide a broad operating range. 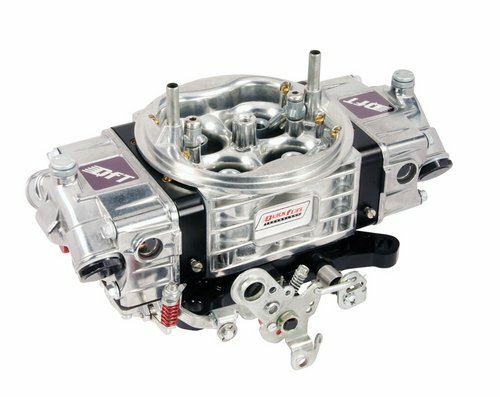 For added versatility, Race Q carbs utilize a dual-pattern billet throttle-body, making them compatible with both 4150- and 4500-style flanges. 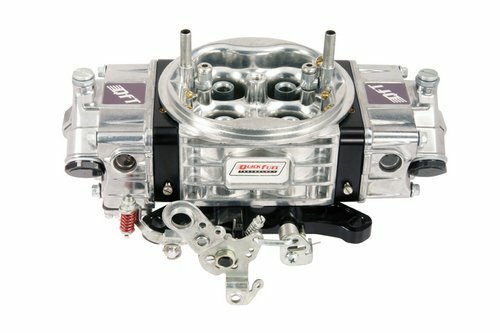 All Race Q carburetors feature billet metering blocks with five-stage changeable emulsions, as well as, throttle bodies with roller bearing seals to provide smoother operation, less wear on shaft, and longer life. •Race style aluminum main body with upgraded downleg race boosters •Screw-In airbleeds that have been recessed and moved out of the air way for less restriction •5-Emulsion billet metering blocks with screw-in bleeds for every circuit - fully adjustable •Lightweight aluminum fuel bowls with internal baffles, raised roof, re-designed fuel entry orifice and built-in sight windows •4-corner idle •Billet throttle body with roller-bearing sealed shafts that have been slabbed for added air flow, stainless steel throttle plates, and secondary adjustable cam bracket. Each throttle body is machined for both 4150 or 4500 style manifolds.